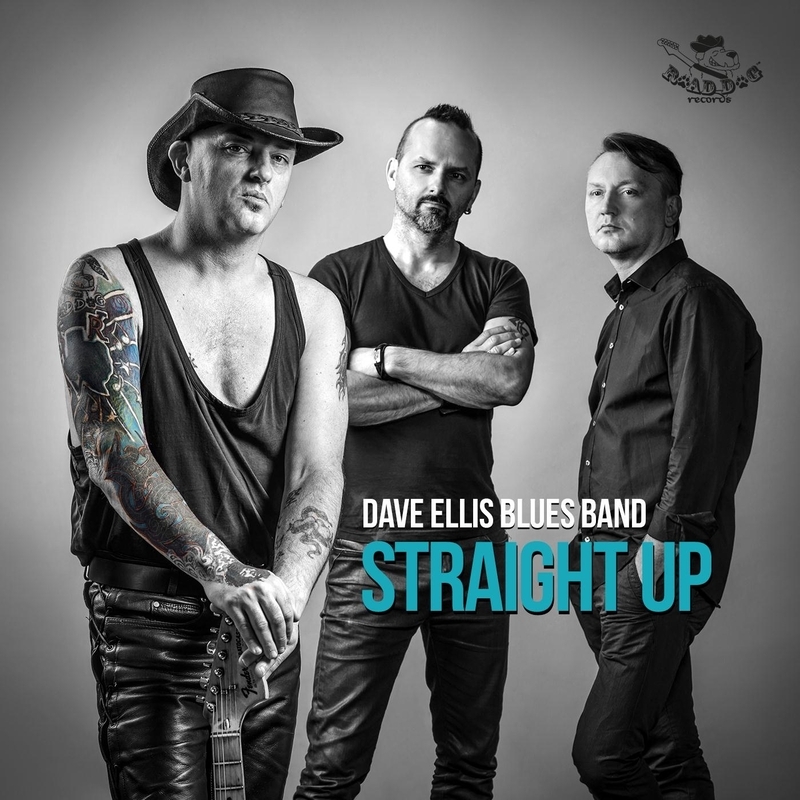 Dave Ellis delivers blues that is gritty and Straight Up. Nothing is mixed or cajoled into a corner this is blues guitar that pierces through the gravel tone vocals as the Dave Ellis Blues Band delivers electric blues. The fourteenth album of the a touring band that have been thirty-one years on the road honing the feel that makes the band more than a SRV clone, though his style is a dominant influence. Dave Ellis with the band has travelled far and wide through Europe and America reflected in the opening track Travelin’ Man. Dave has also played with Papa Grorge Band and Egypt these inflections can be heard on Straight Up which is an album that is not a mono-chromed version of the blues. Tempos change and the guitar takes on light and dark textures in Blues Today which sees the rhythm of Slawny Puskin’s drumming driving the guitar and bending the emotion into a form that has an exciting energy. Half way through and the slide guitar creates a swampy, dirty feel for Rattlesnake Hide with a beat that gets the feet tapping with and urgency reflected in the bass line put down by Jerzy Janik. The as the Sun Goes Down on the slide guitar we have a rock fueled blues number that adds another layer of fuel injected energy into the proceedings. The slower Prayer For A Friend has an acoustic feel and the tempo reflects the lyrics delivered as a mournful chant intoning a prayer like quality. The album of ten self-penned tracks closes with Honey Pot, rocking RnB takes us home as the last notes die away. Dave Ellis Blues Band has delivered blues; there are no twists, turns or surprises. The music is open and honest reflecting the band’s style as they combine lyric driven songs that weave in and out of Dave Ellis’ guitar work delivered by his distinctive grit fuelled vocals.